Every day, there is a train wreck waiting to happen in Avon, Ind. 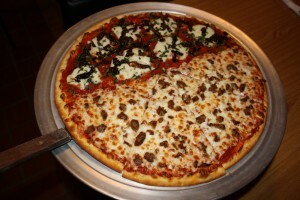 Only in this case, it&apos;s one of the specialty pizzas offered daily at Randelli&apos;s Gourmet Pizza on U.S. 36. I have never seen a more cleverly named pizza. The pie features every topping available at Randelli&apos;s, except chicken. You want it all? You got it. But what makes the name apropos is the location of Randelli&apos;s. It&apos;s tucked away in a small strip mall right next to the CSX Big Four Rail Yard in Hendricks County. The restaurant plays up that theme, with engine red walls, railroad decor and an elevated HO scale model railroad that circles the room with two trains running in opposite directions. Randelli&apos;s pizzas are unique. I was impressed with the mix of traditional and gourmet pizzas. Besides the Train Wreck, other gourmet pizzas include the Railyard (meat), Santa Fe (Southwestern), Caboose (barbecue chicken) and Zephyr (sundried tomatoes and olive oil), just to name a few. 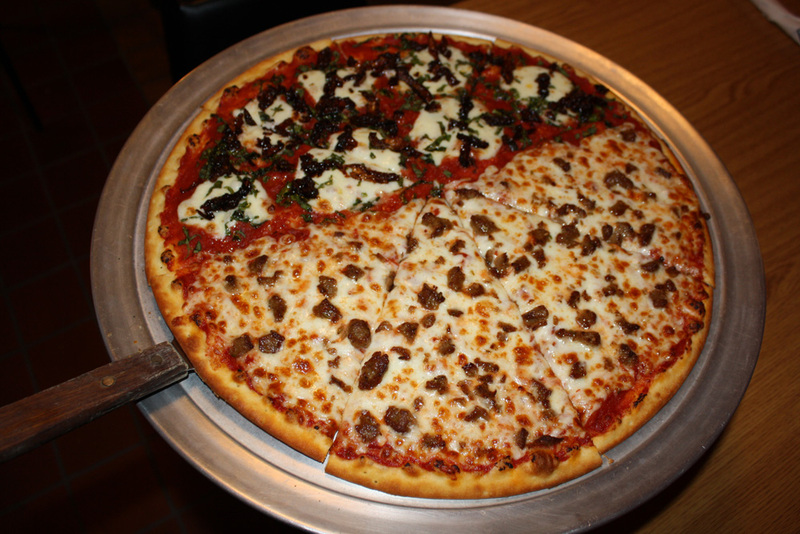 The pizzas are the brainchild of owners Randel and Cheryl Patterson, Avon residents who opened Randelli&apos;s in May 2010. Business has been good, and for good reason. They have turned Randelli&apos;s into the little engine that could. Randel and Cheryl spent countless hours tinkering with their recipes. The fruits of their labor are a remarkable mozzarella/provolone/asiago cheese blend, homemade sauce of tomatoes and spices, and a thin crust made from fresh dough. My one-topping pizza, featuring pleasantly spiced pepperoni slices, melted in my mouth. The interplay was phenomenal; not one ingredient dominated. The stuffed breadsticks proved to be another highlight. 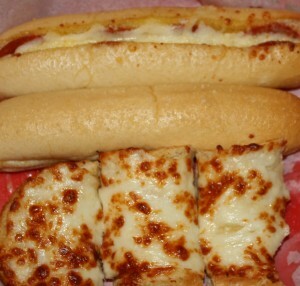 Randelli&apos;s splits thick breadsticks down the middle to add its cheese blend and pepperoni. The oven-baked treat is then brushed with garlic butter and parmesan cheese. Unlike most other stuffed breadsticks that I have devoured, these were not greasy. Similarly, the calzone was different than those offered at other restaurants. Often, the bread dominates calzones. Fortunately at Randelli&apos;s, the calzones feature a butter-brushed thin crust that envelops cheese and your choice of three toppings. Other options at Randelli&apos;s include Italian sandwiches, cheesy garlic bread and salads. Lunch and dinner buffets are offered every Wednesday. The pizzeria features a flat-screen TV and carryout service. For a sweet ending, I devoured the mouthwatering Cinnapizza, which customers receive free if they&apos;re hosting a pizza party. Other fringe benefits at Randelli&apos;s include a rewards card, coupons and specials via an e-mailed newsletter, specials on its Facebook page and a Train Wreck dividend. Those who order Train Wrecks are entered to win a free Train Wreck during a monthly drawing. Derailment is a runaway success at Randelli&apos;s.